Thanks to the company that sponsored this review. I was not compensated beyond the review items. All opinions are my own. Others may have a different opinion or experience. I love decorating my home and finding projects to bring a flair of a holiday or a time of year into my home. A good DIY project lets me create on the fly and enjoy the finished project with my family afterward. 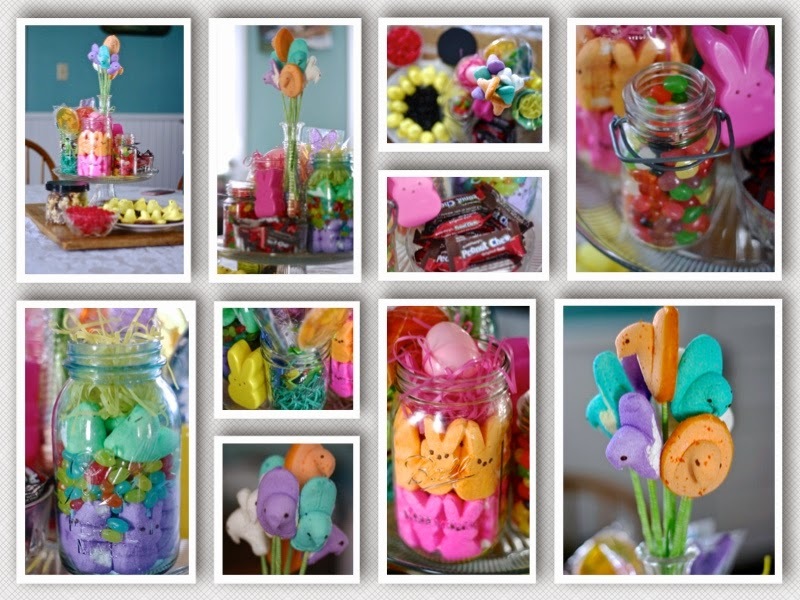 Since Easter is right around the corner, I teamed up with the good people at Just Born to share some delicious treat ideas and my own Peeps centerpiece creation with you. 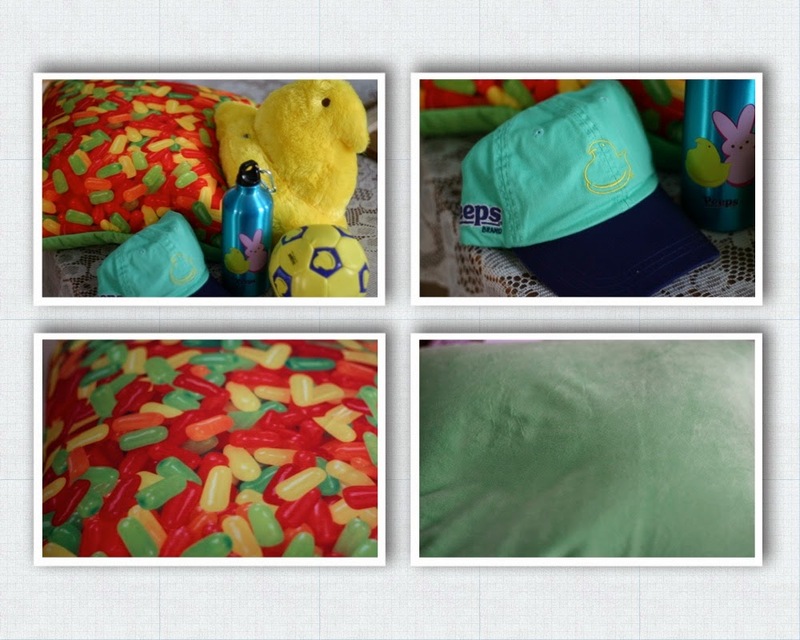 As you can guess, my 3 kiddos loved seeing these fun items in the box that was shipped to us. They divided things up between themselves and have been spotted snuggling with a pillow or plush toy while wearing the hat or passing the ball to each other. I've taken over the water bottle for now, because why not? It's super cute and I can use it for my lemon oil infused water. Now, let me chat with you about the centerpiece I created. I don't exactly know where the idea came from...beside the fact that I knew I had quite a few mason jars on hand in different sizes. 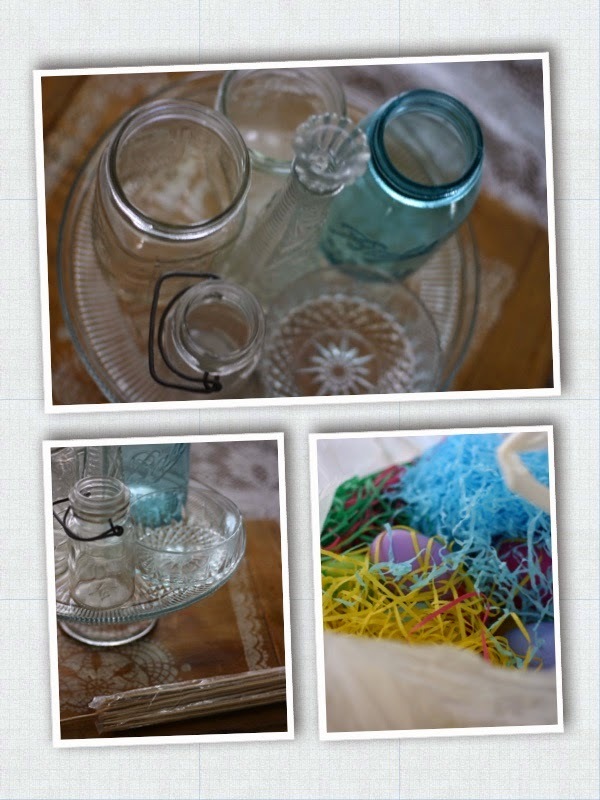 I also remembered my stored Easter grass and thought using my cake stand would tie the different jars together quite nicely. Finally, I thought of using some wooden skewers I had. Here's how I began to put together my centerpiece. I gently put about 6 Peeps onto the ends of the wooden skewers and wrapped the exposed part of the skewer in wash tape. Then, the vase was filled halfway with jelly beans and served as the perfect base for my Peep bouquet. After the bouquet was completed, I had fun filling the other jars around it. 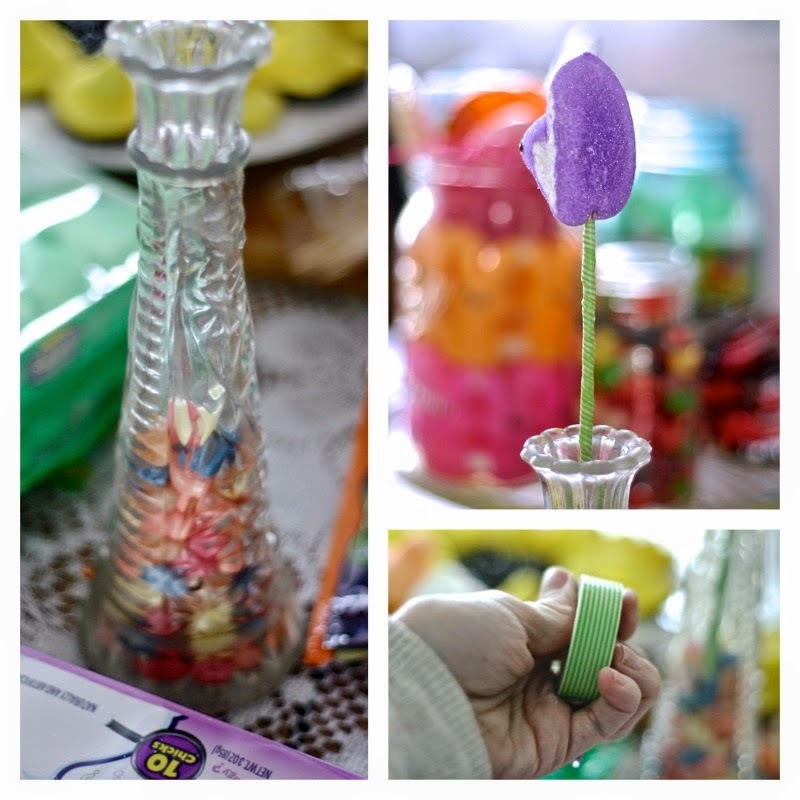 One was jelly beans, a dish held Peanut Chews, another was bunny Peeps and easter grass, while others held lollipops and even more Peeps with jelly beans. And I can't forget to mention the giant "sunflower" I created by setting yellow Peeps in a circle around the edge of a plate and simply pouring black jelly beans in the center. I love all the different colors and how fun the finished look turned out. There. I've officially given you permission to play with your food. 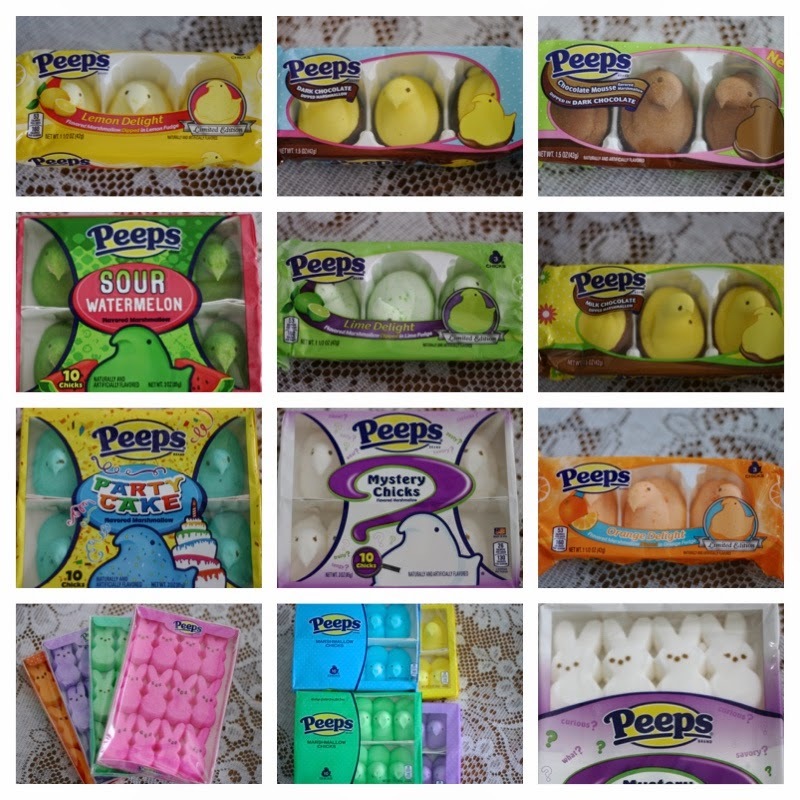 ;) How would you use Peeps and other Just Born items to decorate for Easter?